The list of ‘classic cocktails’ at most bars is pretty similar. You’ll find the likely candidates: Martinis, Daiquiris, Manhattans - and rightly so. But, knowing well there are plenty of more gems hidden in the history books, we tasked the curious and talented Mr. Simon Aukett from the Keefer bar in Vancouver to investigate and share his findings. 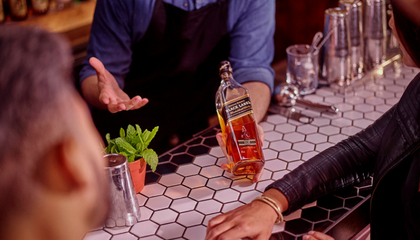 With everyone else looking towards tech and the future, it’s probably not a great surprise that bartenders have a nostalgic leaning towards the past more than most. Our profession, after all, is an ancient craft when you think of it in context of most desk jobs these days; we have more history to draw from. And we should. Personally, I have a great admiration and respect for the early innovators that shaped the path: Jerry Thomas (below), Harry Johnson, Ada Coleman and Harry MacElhone and the likes carved out an industry with their impeccable taste and talent. 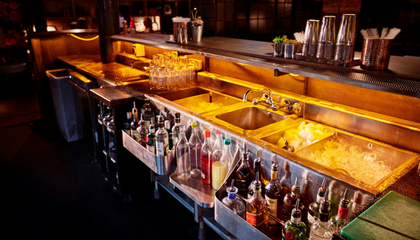 They weren’t afforded the luxuries of today’s bartending: the vast and easily sourced global ingredients, new tech and tools and access to information about any of it (or anything) at our fingertips. This is what impresses me so much. 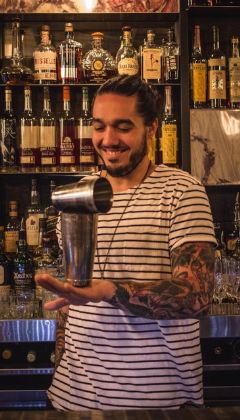 Their ability to craft meticulously balanced cocktails with such limited resources is celebrated by their cocktails standing the test of time. So, looking backwards, we may learn from the craft of achieving balance and flavour combinations – lessons we can apply to modern cocktail creations. I‘ve picked 3 of my favourite recipes from a few of the older books I still revert to. It was no small feat in deciding on the 3, as there’s so many damn good ones out there. For the most part, I have kept these drinks true to my original understanding of them and refrained from too much modification, other than to balance them a little for today’s modern palate. It is my humble opinion that classic cocktails like these should remain unadulterated and stand as an example of how to mix drinks and create flavours back when the tools at our disposal were significantly fewer than those of today. Nestled in the pages of what is arguably one of the greatest tomes of cocktails, you guessed it, the Savoy Cocktail Book, we find this little-known treasure. 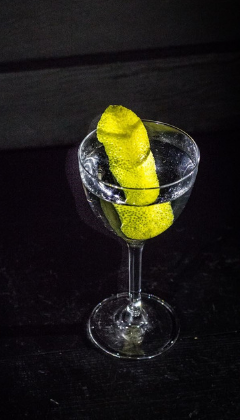 There is debate as to whether the original appeared here or 3 years previous in Harry McElhone’s Barflies and Cocktails, but either way, it’s essentially a wet martini with the added fruitiness of triple sec and apricot. The drink is on the sweeter side, but it’s absolutely delicious and nicely balanced. I also find it’s a great gateway cocktail to introduce people to stiffer drinks like martinis. I forget exactly when or how I came across this little tipple, but I’ve never forgotten about it and it’s a great one to pull out when someone wants something new. 1.Add all ingredients to mixing glass and stir. 2.Strain into a cocktail glass. 3.Garnish with a lemon twist. Moving forward a few years and with a casual jump across the pond, we dive eagerly into the wonderful, cheeky world of Tiki. Don the Beachcomber’s is the birth place of many great Tiki classics, but ‘The Downfall’ often gets overlooked in favour of the more famous ones. 1.Add all ingredients to a shaker with ice. 2.Strain into a hurricane or Collins glass filled with crushed ice. 3.Garnish with a mint sprig. This little number came to my attention by way of Melbourne, Australia, and a friend of mine behind the stick at The Everleigh. 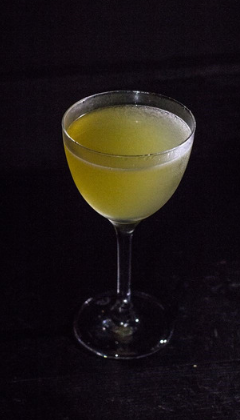 Found in 1700 Cocktails for The Man Behind the Bar by R.de Fleury (1934), this tasty little number marries cognac and gin with lime and Maraschino. 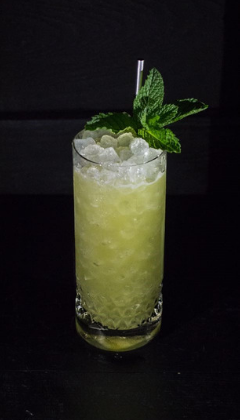 As unusual as it sounds, the flavours come together beautifully to form an elegant cocktail that draws comparisons to the well-known Last Word. I make mine with a little splash of simple syrup to account for the modern palate, which is accustomed to a little more sugar. This is a great cocktail for anyone looking for something citrusy and refreshing that they haven’t tried before. 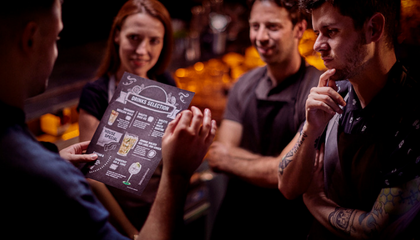 Looking for exclusive access to all our new tips, tricks and recipes from some of the biggest names in the business?Sign up to Diageo Bar Academy today! 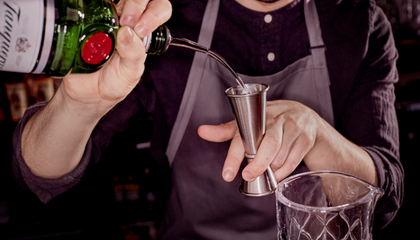 Pouring may sound simple but get it wrong and you could affect the quality and taste of your serve. Master your pouring technique and follow these simple rules.